From cost factors to security, compliance and risk, organizations are constantly evolving to better understand their business, the value and risks of organizational information as well as the criticality of capitalizing on information as an asset. Unfortunately, the lack of cohesive information strategies and business maturity limits organizations in strategic and operational decision making that directly supports the profitability of the organization, the improvement of processes, innovation, agility and response to competitive market pressure. 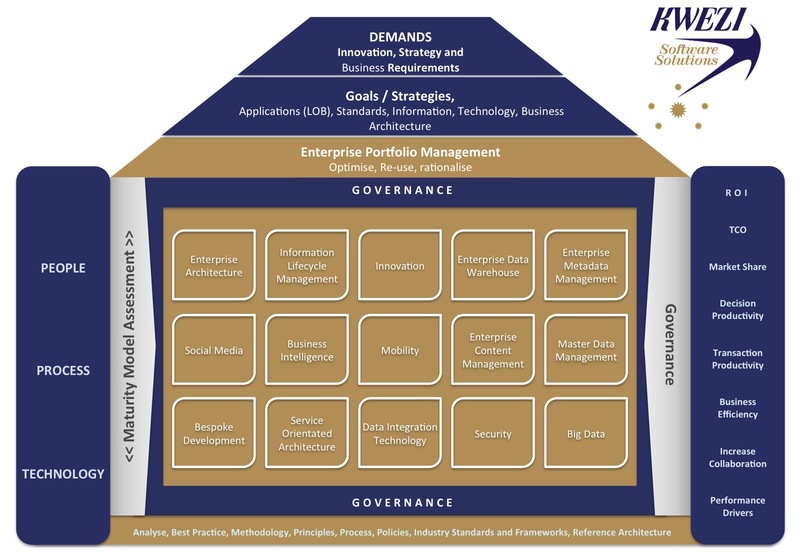 Kwezi Software Solutions offers turn key integrated Enterprise Information Management Solutions to our clients. We align expert professional consulting, best practices, principles, standards and methodologies to satisfy the need for a 360, unified, end to end view of the client's enterprise. Smarter, faster and better day to day strategic decision making.